Wheel: Elastic Rubber Wheel, with the features of high elasticity, good load capacity and wear resistances. 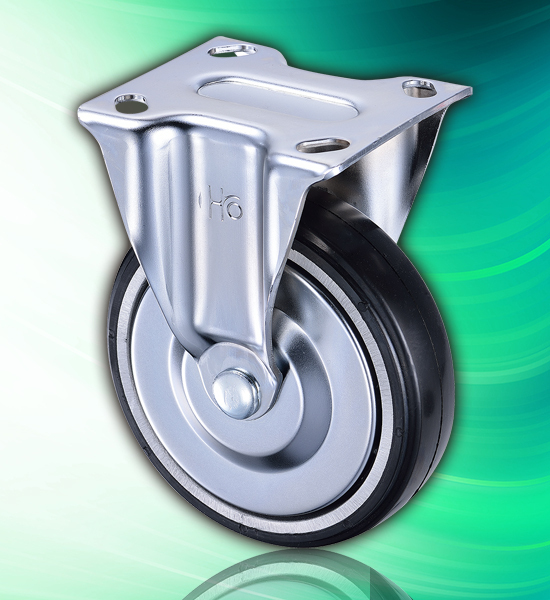 Wheel Core: Aluminum Core, not easy to be rusted and also increases the durability and load capacity of caster. Bearing: #6202 double ball bearings to enhance the rotation. Fork: Rigid type. Pressed Steel and one-piece formed frame. Chrome Plated. Steel wheel covers to prevent the dust, water and other materials.